Add Boswellia X75 (75% Boswellic acids) to your Favourite Herbs list. Herbosophy's Boswellia X75 is a concentrated extract from pure Boswellia resin and standardised to contain at least 75% Boswellic acids, 40% B-Boswellic acids and 10% AKBA with every serving. Boswellia X75 Extract is concentrated and without fillers and is freshly encapsulated for you at order or packaged as loose powder: the choice is yours. 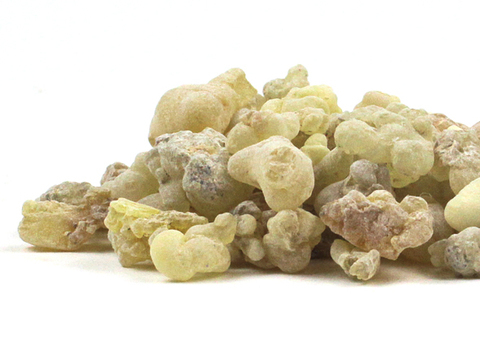 Boswellia serrata is traditionally considered by Herbalists to be dry and warming and has been a popular herb in Asia and the Mediterranean for culinary, cosmetic and health use. Havn't noticed any difference at all for the condition I purchased the Boswellia for so won't be repeating my order. I opted to buy the powder version because I sometimes use tumeric and boswellia mixed in warm milk and curry type dishes. It is difficult to mix the boswellia powder with a liquid. This is an excellent product, help so much with my back pain. I have suffered with a sore back for years and have taken several different preparations to help deal with the pain. Extremely happy with Boswellia,it made a difference immediately so I have been spreading the word, even told my chiropractor whom listened with great interest. I was coming down with a repeat episode of the chest virus going around when my Boswellia x65 arrived. I took two capsule that night. Woke up in the morning, coughed twice then all clear. No sinus problems either. This product is awesome for lung and mucous related illness. I won't be without my Boswellia x65 now. Have been taking this for one month...2 tablets twice a day before food....since taking this tablet I have not taken any other pain killer at all!! !......never had so much relief for an extremely debilitating osteoarthritis.....thank you Herbosophy for making this available in the proper required strength to make it work. The tenderness in the joints has reduced somewhat. I have looked for an additional product to take with the Boswellia. From the list I am thinking of TurmericX95. I have a torn rotator cuff and am trying to avoid an operation. I have found that Boswellia helps with the pain although I may have to take a bit more than the recommended dose. I am a 40 year old international sprint athlete. I have suffered from chronic inflammation in my hips for over 10 years. I have been on every pharmaceutical anti-inflam you would care to name and I finally decided it was time to go herbal. I have been using Boswellia for 4 weeks. The results are astonishing. I haven't trained 4 days on the track in 1 week for years, and yet have done so for the last 2 weeks and am feeling fantastic. This is a genuine and honest review from a happy consumer. After 12 months of inconsistent medical advice and mind-numbing pharmaceuticals for an autoimmune disease, I decided to turn to a more holistic approach. I started taking Boswellia about 6 months ago for it's anti-inflammatory values but had no idea just how well it was working until I ran out recently while working overseas. Definitely worth a try if inflammation is a problem.